Hospital Clínica Benidorm has started up the new “annual campaign of free PSA tests” taking care of male health, orientated to the prevention and the control of illnesses of the prostate. The PSA indicator (Prostate-specific antigen) is obtained with a simple blood analysis and can help with the detection of prostate illnesses and, specifically, the initial stages of prostate cancer. 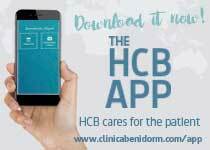 Dr. José Luis Pontones, medical specialist of the Urology Department of Hospital Clínica Benidorm, has explained that “the goal of this campaign is to encourage men to have a better control of their health. We have to bring the urology consultation closer to them and make them aware of male health prevention and the pathologies of the prostate. Analysing the value of the PSA is just the start, a call to action”. The “annual campaign of free PSA tests” allows that, in any HCB medical consultation, and in any of their medical centres, the patient can request that they add, free of charge, the PSA indicator to their blood analysis. Or they can just request a blood test to detect their level of PSA, also free of charge. What does the PSA tell us? 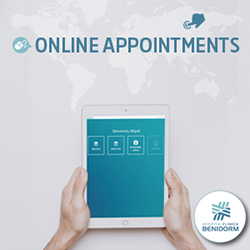 The results that this indicator presents allows the specialist to evaluate which patients should be recommended to have more specific tests – such as a prostate biopsy- to prematurely detect the presence of cancer or a prostate illness. Benign illnesses, such as a urinary infection or even the growth of the prostate with age and pharmaceutical treatments which contain the male hormone (testosterone) can alter this value. Because of this, if the indicator is high, you should consult with a specialist in Urology to evaluate “the health of the prostate” and can this way rule out any serious illness of the prostate. The male patients of HCB can ask their doctor, be it the dermatologist, neurologist, primary care doctor…that they include, with no additional cost, the evaluation of the PSA in their tests. A couple of days later, the consulting specialist will evaluate the results of the PSA indicator within the blood test and if it is – or is not – necessary to have a visit to the specialist in Urology. 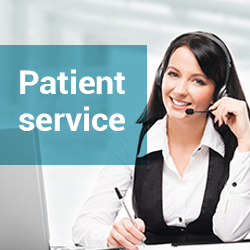 It is also possible to request the free PSA analysis in the reception of the Policlinic – or calling the appointment number 96 585 38 50 – and the Internal Medicine Specialist will inform you – in the consultation or by telephone – of the result and if it is necessary to go to the Urology Department. To complete the campaign of free PSA, in the Consultations of the Urology Department we have activated a new preventative check-up of male health and prostate (120 euros, including the PSA indicator free of charge). This revision consists of a scan, uroflowmetry, the analysis of the PSA – free of charge – and the consultation with the medical specialist to evaluate the results.